When you watch the Olypmics, how do you feel? I have to admit, I love that rush of empowerment when my favorite athlete crosses the finish line first, or stands tear-streaked to the strains the National Anthem. It’s a good feeling. I completely “get” the fist pumping, water-smacking, “can’t believe I made it this far,” maddening-need-to-do-it-again–amass more medals than Michael Phelps–emotional high. I think I can understand the powerful feeling of fame, matched only by the soul-crushing shame of loss on the worldwide stage. And, along with the rest of America, I love a feel-good story: everything from baby Boomer to Kathleen Baker’s refusal to be cowed by Chrone’s Disease to the courageous German gymnast who finished for his team despite a torn ACL. In fact, it’s a nice distraction from the incessant pavement-pounding of this political season. In a way, it makes it easier to pretend (for 2 weeks) that all’s right with the world, that all these nations simply enjoy a friendly rivalry contained in the sporting arena. I will be parked (as often as possible) in front of the television for these all-too-short days of friendly, inspiring competition. But, there’s something the majority of media leaves out, even out of the feel-good stories. And that’s the multiple stories of faith. It’s easy enough to hide our faith under a basket when our greatest exposure is the guy at the supermarket, the daycare provider or our co-workers, but can you imagine the pressure these athletes face to hide this most important and inflammatory topic from a world filled with people who have no problem killing based on faith? But some have chosen not to hide it. Some have chosen to use their platform, however brief it may be, to declare the love, grace and power of Jesus Christ in their personal lives and His desire to be Lord of every life–before the day when every knee will bow without exception. How special is God’s Word to you? Have you ever wondered what life might be like if you didn’t have it? Did you know that in North Korea it is illegal to own a Bible? And in many other countries, it is very difficult to obtain a Bible. In some places, owning a Bible might cost a person his or her life. Corrie ten Boom was a young woman who faced some of these very difficult circumstances with bravery, hope and most of all, prayer. Corrie lived in Holland during World War II. Her family were devoted Christians and when Nazi Germany began to arrest, deport and harm the Jewish people, Corrie and her family secretively hid as many Jews as they could in their own home. But in February 1944, the Gestapo raided Corrie’s home; she and her family were arrested and sent to prison camps. In her biography, The Hiding Place, Corrie tells a story about her time in the prison camp and shares how very precious God’s Word was to her. She had managed to sneak a Bible into the camp with her, even though it was not allowed. After a while, the guards moved the girls to a new barracks. They were filthy and infested with fleas. Corrie felt discouraged and hopeless, but Betsie pointed out that the Bible says we should give thanks in all circumstances. As they prayed together, Betsie thanked God for the fleas! Corrie thought her sister was crazy, but a short time later, she joined Betsie in thanking God. Because of the fleas, none of the guards would come near the barracks where the two sisters were held with dozens of other women. In those cells, they held Bible studies freely, without fear of the guards catching and punishing them. God, thank you for allowing us to own and read your Holy Word. Thank you for parents and teachers who have the freedom to teach us about you, and thank you that we are able to freely tell others about you, too. Teach us to be thankful always for this privilege and to pray for those who don’t have access to your Word. Help us to treat your Word with respect and honor. Is God Disappointed In Me? I remember it like yesterday, but I can’t read his expression any better in my memory than I could 15 years ago. It was somewhere between a mix of frustration, disappointment, reservation, compassion and confusion. We’d covered this ground so many times before, Granddad and I, and he was nearing the point of wondering if things would ever change. For all of my fifteen years, a visit to Granddad and Grandma’s house had been synonymous with the frozen treat—preferably chocolate and served in a bowl pulled fresh from the freezer. But since anorexia had dug its deceptive claws into my mind, I refused to participate in this sacred tradition. Looking up at Granddad that night, his unreadable expression branded my heart. I felt like a failure, a stubborn, unrepentant, rebellious failure. Unlike many others in their battles against an eating disorder, I was blessed to have male authority figures who did their best to represent the Heavenly Father. They loved me, disciplined with gentleness and according to biblical principles. But they weren’t perfect. For a time, I translated that pained expression from grandfather’s face to my belief about God; it hindered my relationship with my perfect Heavenly Father. In I Corinthians 1:9-10, Paul opens a letter of stern rebuke and uncompromising correction. As I studied those verses, I began to see the truth about how God corrects His children. That’s how God always addresses us, even in the middle of our failures and repeated mistakes. Even when we’ve sinned and broken His heart, God sees us as the righteousness of God in Christ, simply because we believe in the perfect sacrifice of His Son. Even when we need correction and training in righteousness, God always reminds us that He has given us grace in Jesus Christ, we are enriched in every way because of Jesus, God confirms that Jesus is within us and He will keep us firm to the end because He is faithful. Trista glanced across the yard as she climbed into the backseat of her family’s minivan one Sunday morning. “The Carlsons never go to church,” she said to no one in particular. Daddy fastened Trista’s younger sister in her carseat, opened the door for her mother and then climbed in behind the wheel. Slowly, he backed out of the drive. No one replied, so Trista turned it into a question. “Daddy, why don’t they go to church? I mean, God says we should, I know it’s in the Bible somewhere. Does that mean they don’t believe in Jesus? If they do believe in Jesus, does that mean we are better Christians? Does that mean they are bad people? Does that mean … ”. “No. I don’t think so,” Trista said. Daddy, continued, “So the story is that there were two men who went to pray. One was a very important religious leader and the other was a tax collector. In those days, tax collectors were considered to be bad people. Sometimes they cheated people out of their money. A man stood before God listening intently; he wanted to catch every single word of instruction. “That’s all God?” The man glanced down at his puny physique and felt a flush of shame redden his cheeks. It doesn’t seem like a very important job, he thought. At the same time, doubt clashed with his indignation. What if I’m not strong enough to move that huge rock, he wondered. So the man set his shoulder against the stone. Day in and day out, night after long night, he pressed on. Over time, his shoulders broadened with sinewy muscle. His skin grew dark and tan at first, then weathered and ruddy. His shoulder bruised. Once or twice, he pulled back and looked at the massive rock. It hadn’t moved a millimeter. The voice of doubt reached a fevered pitch in his mind: I’m failing. The one, seemingly insignificant thing God gave me to do and I can’t even manage that. And where is God? I thought He was going to help me—be my strength! Maybe I didn’t hear Him right. Maybe He’s not even pleased with all my work. I only wanted to be obedient. I’m sure someone else could do a better job. My hearted perked up with his words. I’ve felt like that! In particular, I have prayed and prayed and prayed for my husband to love the Lord with all his heart and to lead our family spiritually. (I’ve also employed some unsuccessful tactics like pleading and bribing.) Now, 15 years later, I’m tired, I feel like a failure and I want to quit. As a Christian wife, I know that my most important assignment on earth is to help my husband become the man God created him to be. God brought us together; He created me to be my husband’s helpmate. Sometimes this appointment seems mundane and unimportant compared to world-wide evangelism and other lofty callings. Other times, it seems like much more than I can handle; it feels like I have sweated and struggled to no avail. As I listened to the sermon, I felt Jesus’ presence. I turned my heart to listen. Whether it be our hopes and dreams for a certain type of marriage or something else, our lives and sanity depend on understanding specifically what God has called us to do. He has not called us to bring about an outcome, only to allow Him to use us in the process. Compassion is seeing Tanzanian children without a home, clothing, medical care or a safe place to lay their heads at night and hurting with them-enough to do something about it. Hi folks, I’m Scott Goldbach, founder and ministry project lead for My Daily Armor Ministries and that’s just what happened to me when I visited Tanzania in 2012 to climb Kilimanjaro. As exciting as summiting the highest peak in Africa was, it paled in comparison to what happened during the trip itself. I had just come off the plane when our expedition driver, Emanuel, overheard me talking to a member of our climbing team about looking for a mission project in Tanzania to support. God has done it again! He’s brought to fruition another book! I’m so excited to study with you! 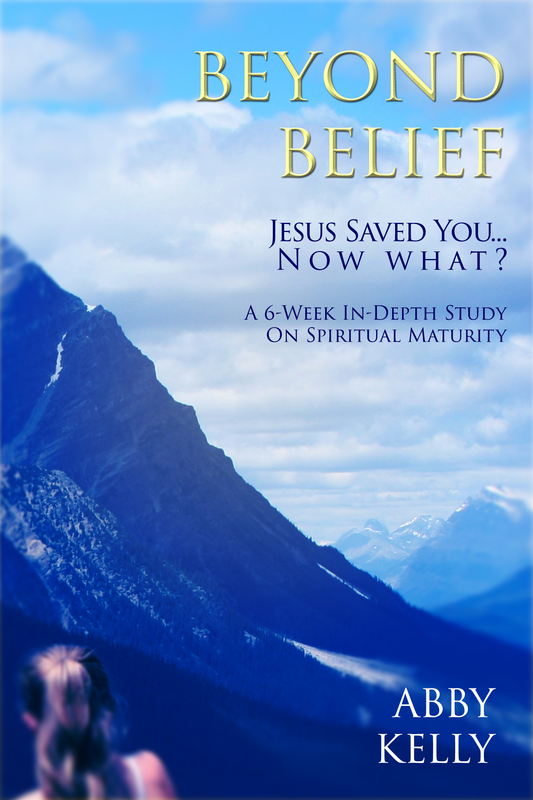 Pick up a copy of Beyond Belief today and walk through this study with me on my LASTing Peace channel! Can’t wait to study with you! You can download a Chapter Summary here! Check Out This Online Christian Book Store! 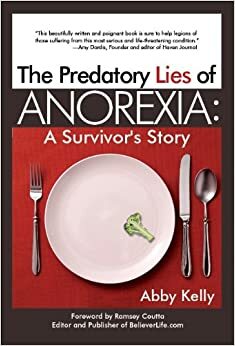 God’s Girls is now carrying The Predatory Lies of Anorexia: A Survivor’s Story! Highly Recommended Reading at Prayfit!